Simon Bowen was born near the Western Australian gold mining town of Kalgoorlie. Growing up in the country instilled a set of values that last to this day. ‘Help your neighbour, volunteer, work hard, play sport and be a part of the town’ were the mainstay of what living in the country meant to Simon. After an early career in electrics and electronics, Simon completed his tertiary studies in teaching before taking on lecturing roles in TAFE and University. This eventually led him into take on corporate positions in the fields of organisational development and change management. After spending several years as an executive at CSR and working across sales, organisational development and human resources, Simon was inspired to establish his own corporate consulting business. With a strong belief in the positive power of enterprise to do good, Simon has invested over two decades in facilitating the resolution of complex issues for organisations of all sizes and across all sectors. 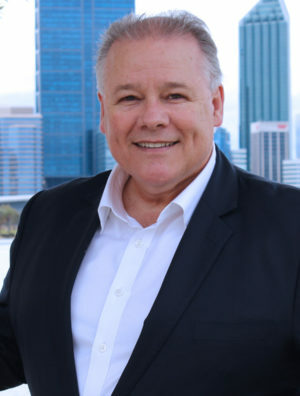 Highly regarded for the results he achieves when he oversees large projects, Simon is actively sought out to individually mentor many CEOs, heads of government, and industry/business leaders. In challenging environments, Simon has been the go-to-person, especially when there is an expectation that an issue will draw multiple, disparate and conflict-driven views. Dynamic and thought-provoking, Simon’s creativity and enthusiasm make him the perfect catalyst for business success. A gifted speaker and published author, Simon is known for making the complex simple, to both solve a problem and sell a better option. In all his work, Simon has one goal — to transform any complex issue at the base level and influence others to support it.